Well let’s begin by saying, “Happy Birthday to me”! Why, thank you! The weekend in Cordova was wonderful even though the shorebirds were early this year and had already come and gone by the time we got there. Fortunately the three of us were less interested in birdwatching than just enjoying a great weekend exploring Cordova. We did see a few dozen winged stragglers, which was nice, but the big hit of the weekend was the sun. It went over with us from Whittier and stayed with us until we left. 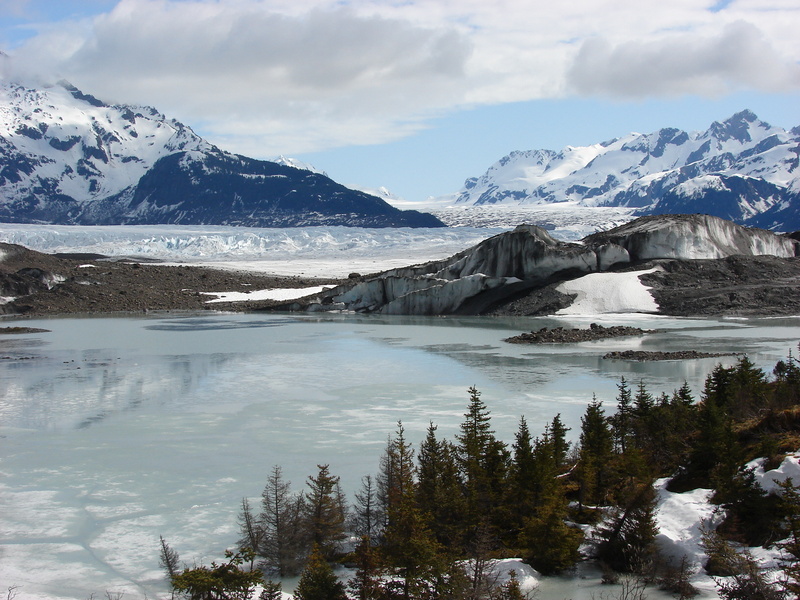 This is unusual for coastal Alaska and was most welcome and much commented upon. I believe the general consensus (at least among the less avid bird watchers) was, who cares about the birds, we had sun! 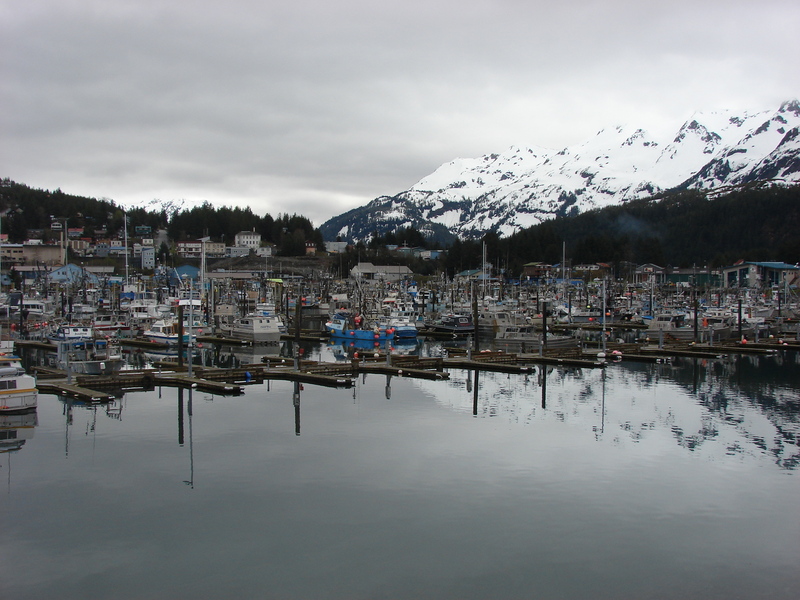 Cordova, on Prince William Sound, is not on the Alaska road system and can only be reached by boat or plane. It has one main road which is about 50 miles long and which connects the town and harbor to the “Million Dollar Bridge” aka “The Bridge to Nowhere”. (this is where I’d insert a link to facts about the bridge and area mining history for those interested in additional info, but I don’t know how to insert a link yet, so this is all you get at the moment) Unfortunately, I have never had the pleasure of seeing the bridge and nearby Childs Glacier as the road has been blocked by deep snow both times I have tried to get out there. 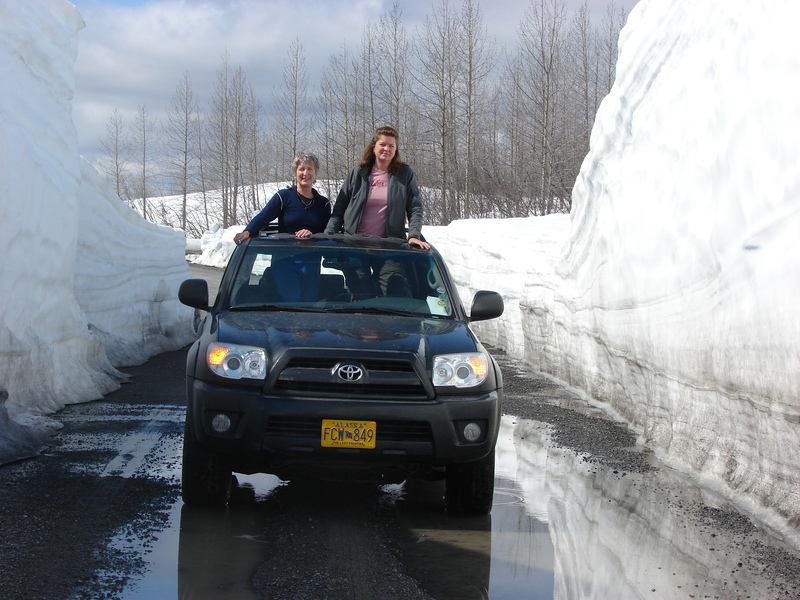 You’ll see what I mean by deep snow in the attached photo showing a section of road plowed through 38 feet of snow. I guess the plow got tired as it stopped plowing at that point and we had to turn around. 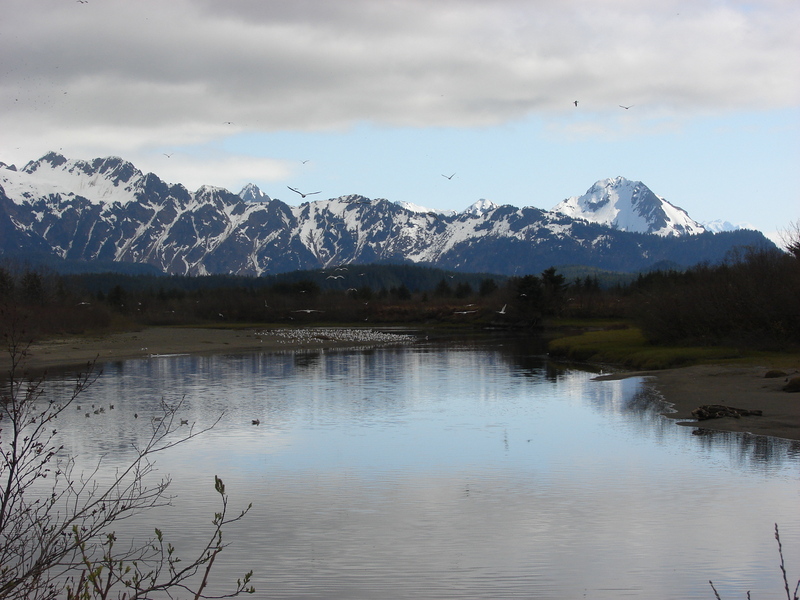 During our exploration of the town and surrounding area we saw tons of cool scenery and animals like: Whales, Dall Porpoise, Tundra Swans, Bald Eagles, Sea Otters, Sea Lions, Harlequin Ducks, Glaciers, Mountains, etc. I guess the big hit was when we were walking along the Alaganik Slough and we saw a large wave and loud rushing noise coming toward us. What is it? Is it a plane? Is it a bore tide? Goodness, we were perplexed. 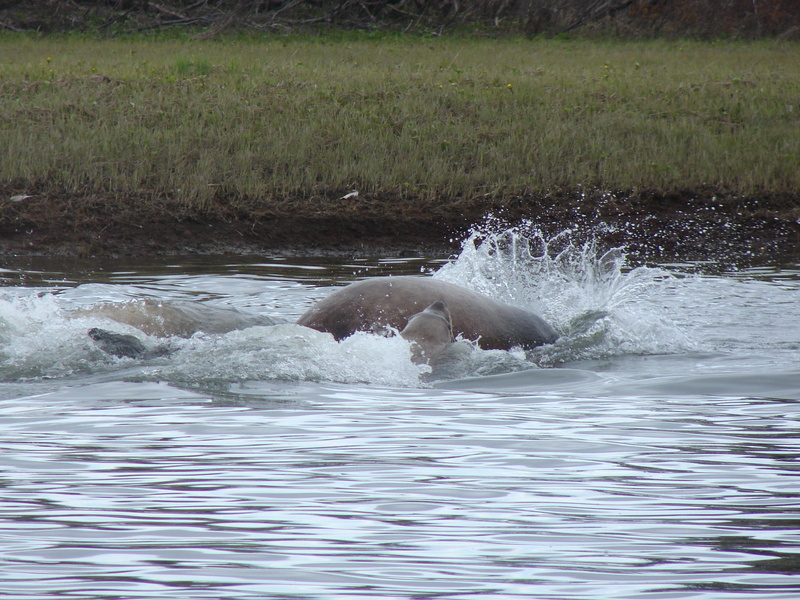 Then we saw some sort of moving brown animal inside the “tide” that was rushing up the Slough. Turns out it was 7 sea lions chasing Hooligan. Hooligan are a small oily fish sort of like sardines, but larger. Wow, what a sight. The water was in complete turmoil and the noise was surprisingly loud. Guess you had to have been there, but it was way cool. I’ve included some photos below for your viewing pleasure. If you put your cursor over the photos, a short description with appear. Enjoy! Yes, what a fabulous trip—after living in AK for 38 yrs so delighted I finally made this trip to visit Cordova and all of its beauty. 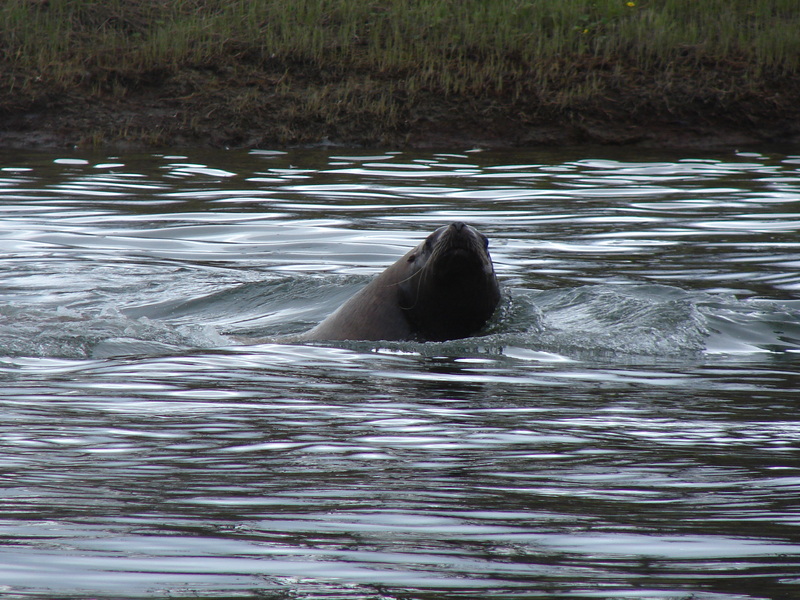 Viewing the sea lions at such close proximity was magical. Love the pictures. I finally made it to the infamous bridge last year and it was spectacular. Like you, it took me a couple of years to get out there. Sounds like the trio of Anchorites had a great time. Looking forward to your adventures and maybe sharing some of them.